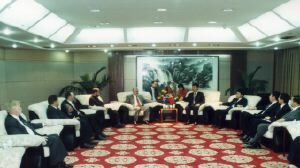 The Delegation from Moreland arrived at Xianyang Airport early in the afternoon of October 30, 2006. 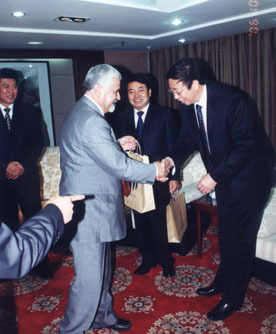 It was met by Xianyang Deputy Mayor Wang Jian Guo and senior Government officials. At the airport, Moreland Mayor Anthony Helou was presented with flowers by Deputy Mayor Wang. After settling-in at the Qinbo Hotel, the group was taken for a tour of Maoling Museum. The Museum is located adjacent to the tumulus (burial mound) of Han Wu Di, the fifth emperor of the Han Dynasty (206 BC to 220 AD) and the most powerful of the Han rulers. His tumulus is the largest of the many in Xianyang Municipality. After the visit to Maoling Museum, there was a Formal Welcome for the Delegation given by the City of Xianyang. Mayor of Xianyang, Qian Junchang formally welcomes Moreland Mayor, Cr. Anthony Helou to the City of Xianyang. 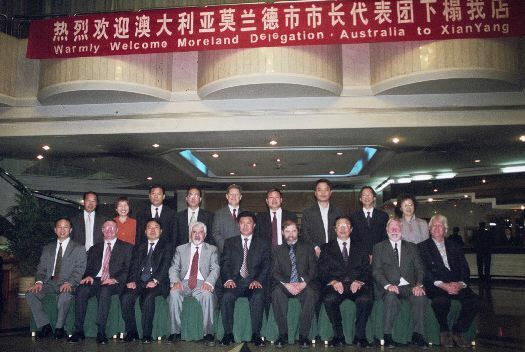 A formal reception was held by the City of Xianyang for the Delegation from the City of Moreland. 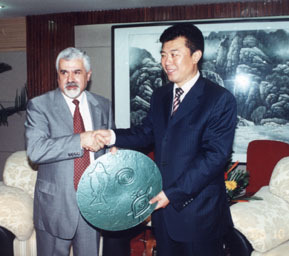 Mayor Qian presents Mayor Helou with a gift from the City of Xianyang for the City of Moreland. 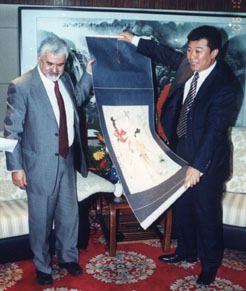 Mayor Helou presents Mayor Qian with a gift from the City of Moreland for the City of Xianyang. 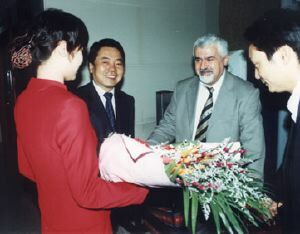 Anthony Helou presents small gifts to other Xianyang officials in attendance at the Formal Reception. 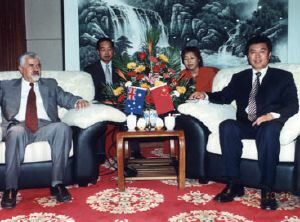 The Moreland Delegation is welcomed by the Mayor of Xianyang, Qian Junchang (centre front). An introduction to each delegation member is given on a separate page. 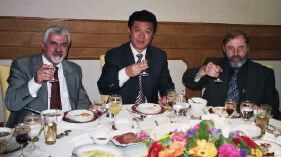 After the Formal Reception there was a welcoming dinner given by Mayor Qian. 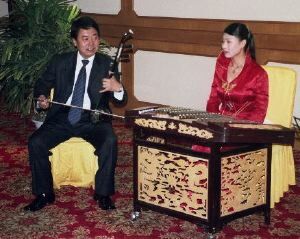 Deputy Mayor Wang gave an impromptu solo performance on the Chinese violin.